For all your catering needs, Creative Catering’s attention to every detail and high quality standards ensure your event will be a success. 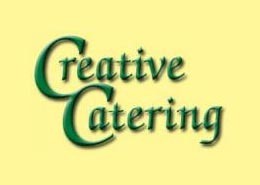 Located at 611 Winchester Road in Huntsville, Creative Catering is owned and operated by David King and has been in business serving Huntsville and the surrounding areas since 1998. David and his staff pride themselves in offering their clients unique and affordable catering options for their events. Whether planning a formal occasion or just a casual event, David and his staff will be happy to assist you with your catering needs. As the demand for catered services increased in the Huntsville area, David saw a need to provide this type of service that was affordable to the average person. He recognized that the need for catering was not limited to only the elite crowd. With this concept in mind, David put together a business that provided both quality and affordability. The result is a successful and rewarding undertaking for David. If your plans include a wedding reception or just a small gathering of friends, contact David and his staff for your catering needs. No event is too large or too small, and David will do as much or as little as you require. Allow them to assist you with your equipment and rental needs as well. Contact David and his staff for a consultation or booking today, and let them remove the stress of planning your next event. 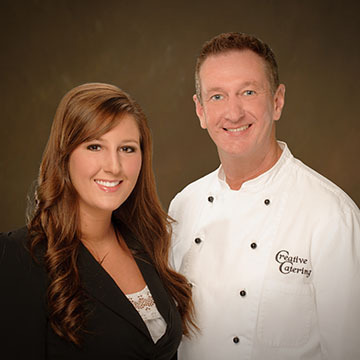 Contact Brittany Lindsey or David King of Creative Catering to ensure a unique and affordable catered event.